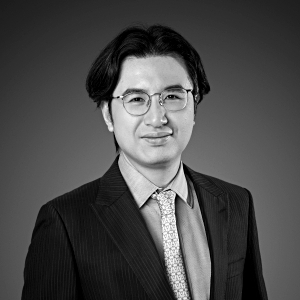 Terry is a Fintech expert with deep Fintech experience in China and the US. As a Venture Partner at Alpha JWC Ventures, Terry focuses on Fintech sector by identifying and performing assessment on potential Fintech investment opportunities, and by creating value-add for Fintech portfolio companies. Terry has senior level experience at two China Fintech unicorns as: (1) Senior Vice President of International Business Development at LianLian Group, China’s leading payment and money transfer services for merchants and consumers, and (2) Chief Risk Officer of Dianrong, China’s leading P2P platform. Terry’s experience includes advising Chinese Banking Regulatory Commission (CBRC), Central Huijin, and large Chinese financial institutions on macro-prudential issues and growth strategy, risk and capital management in his previous role as a Principal at Oliver Wyman. Terry started his career with Deutsche Bank in New York in credit portfolio management and risk advisory where he managed credit portfolio exposures with credit default swaps (CDS), CDS options, credit indices and credit securitization, and he was seconded to China Development Bank (CDB) Head Office, Beijing to advise on Basel II. Terry graduated from Stanford University with a Masters of Science in Financial Mathematics, and a Bachelor of Science in Mathematical & Computational Science.